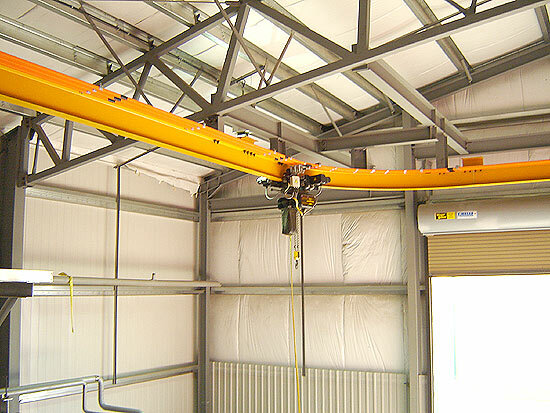 CRS CraneSystems inc. Monorail systems can be supplied up to 10 Ton capacity using standard structural wide flange beams, or custom formed enclosed track systems. 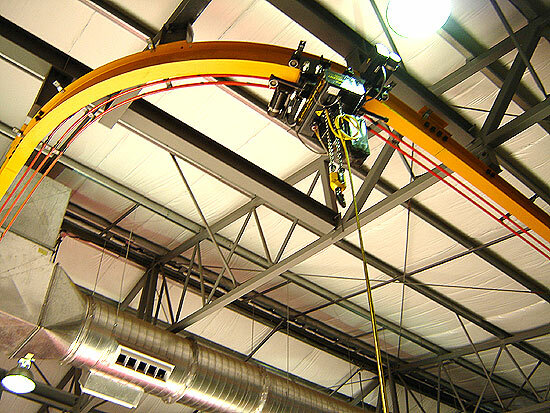 Monorails systems can be equipped with chain hoists or wire rope hoists and can be electrically or manually operated. 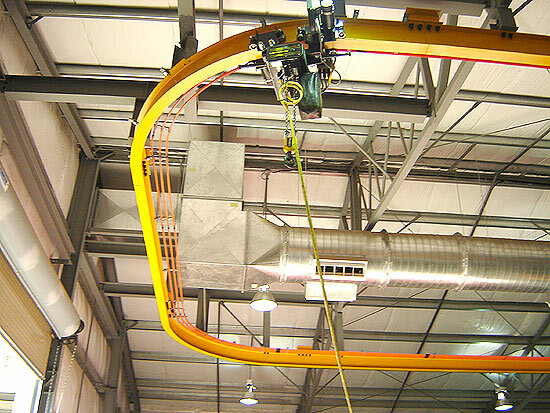 Heavier capacities and custom designed systems complete with curves and switches are available. Contact your local CRS representative for more information.